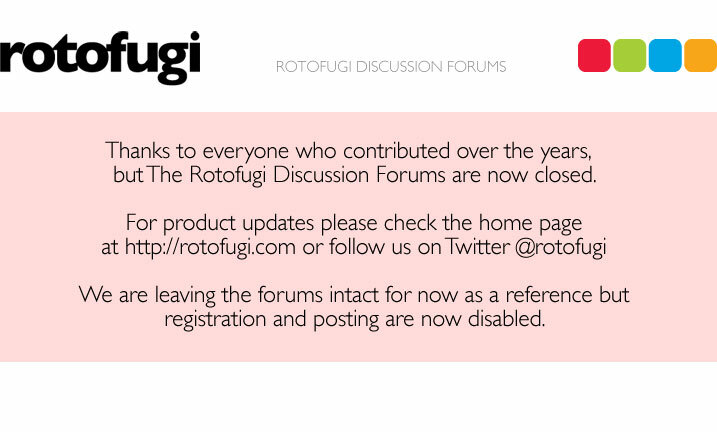 Rotofugi Forums • View topic - Rotofugi Exclusive Scavengers? < Ask Rotofugi ~ Rotofugi Exclusive Scavengers? I was kinda expecting that answer!!! Yeah, sorry to be so predictable. We'll definitely post when we have a release date set. seamail is painfully slow! can't wait till these pink beauties arrive! Thanks everyone for your patience....the big day is now near! The Rotofugi Exclusive Scavenger Pink Masao will be released on Friday, March 6th. They will be available "in-store" at our Chicago location beginning at 12 Noon, and online at rotofugi.com beginning at approximately 2pm CENTRAL TIME. Strict Limit of ONE PER CUSTOMER / HOUSEHOLD. Thanks for the update Kirby, do you know how many will be available on line? I really dont want to miss out! A little more than half of the edition of 200 pcs will be available for our online customers. Remaining pieces will be in-store only. This was the first real test of our new online store software that we installed middle of last year and the new beefier dedicated server. So far, so good. KNOCK ON WOOD. Thanks everyone who purchased. These will ship out on Monday...we've got some packing to do. just received my pink masao thanks so much to the roto-team. it came with some stickers and postcards as well!! that was lightning fast international shipping!!! as well as a great price for international shipping... and thanks so much for keeping all us impatient fans updated on the forum! Still a few left at the store (Chicago)....and we've now released our last box we had at the warehouse to the online store. We had saved a bunch back in case any needed to be replaced, got lost, etc. Now they go!